Summer vacations are all about visit to kids nani (maternal grand mother) house. 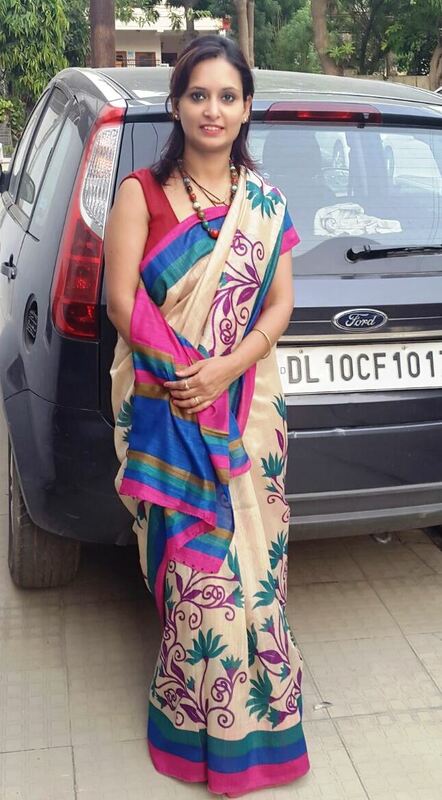 During this summer break, i got an opportunity to wear my much loved sarees from my mom’s wardrobe. This is a lovely combination of colors in Bhagal puri silk bought from Delhi Haat. 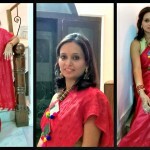 A perfect Red for the special day, Karwachauth.